These next eight guys aren’t getting celebrated for their outstanding talents. Yes, they were good enough to stay in the league for so long, but they were never good enough to hold down a job for too long. 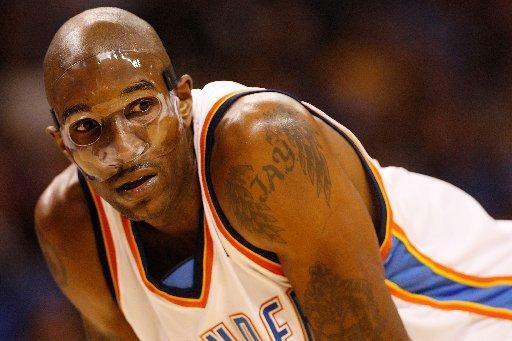 From busts like Joe Smith, injured often and talented scorers like Jimmy Jackson and guys like Kevin Ollie who always seemed to find another job as backup point guard, here are the eight players who have played for at least 10 franchises in their NBA careers. Team Tracker – Utah Jazz, Milwaukee Bucks, Denver Nuggets, Vancouver Grizzlies, Seattle Supersonics, Washington Wizards, New Jersey Nets, Toronto Raptors, New Orleans Hornets, Los Angeles Clippers. Longest Time Spent – With the Nets, for four seasons (2000-2004). Made two NBA Finals in 2002 and 2003. Best Season – 2000-2001, playing 28.5 minutes a night, averaging 10.2 points and 7.2 rebounds per game. He also managed to lead the league in personal fouls that year with 319 in 82 games, nearly four per game. Career Stats – 714 games, 16.8 minutes a night, 5.8 points, 3.9 rebounds per game. Team Tracker – New Jersey Nets, Boston Celtics, Golden State Warriors, Dallas Mavericks, Vancouver Grizzlies, Detroit Pistons, Sacramento Kings, Milwaukee Bucks, Miami Heat, Cleveland Cavaliers. Longest Time Spent – With the Cavs (2005-2008), basking in the LeBron James sunlight, helping the Cavs to the 2007 NBA Finals. Best Season – 2004-2005 with the Miami Heat, averaging 11.6 points and 4.3 assists while shooting 43.2% from three point, playing 31.4 minutes a night. He was fifth in the NBA that season in three-point shooting and third in three pointers made. Miami reached the conference finals, losing to the Pistons. Career Stats – 657 games, 20.5 minutes a night, 6.6 points per game while shooting 39% from three point land. Team Tracker – Portland Trail Blazers, Houston Rockets, Phoenix Suns, Chicago Bulls, Cleveland Cavaliers, Dallas Mavericks, San Antonio Spurs, Philadelphia 76ers, Denver Nuggets, Boston Celtics. 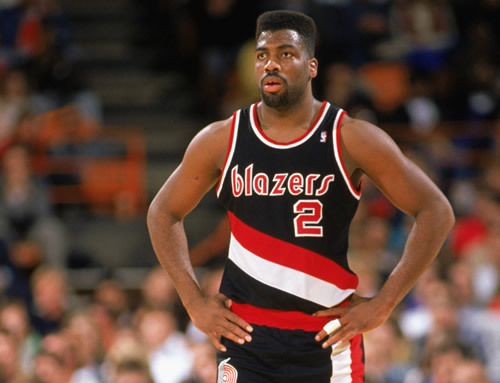 Longest Time Spent – His first seven seasons with the Blazers, making two NBA finals – 1990 and 1992, losing once to the Bad Boys and once to MJ and friends. 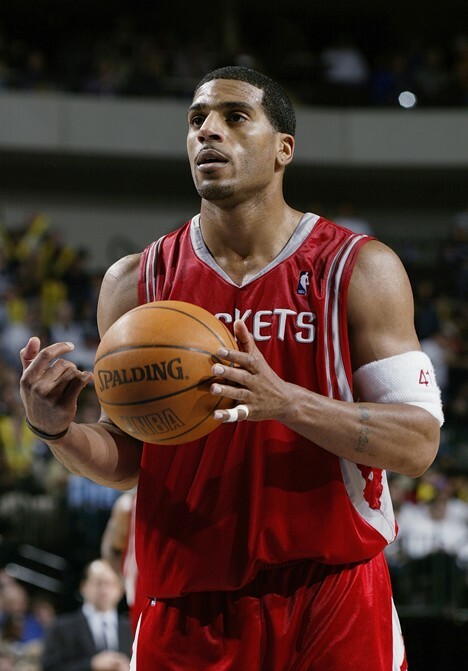 Best Season – 1995-1996 with the Houston Rockets, averaging 8.6 points and 4.9 rebounds, playing 22.4 minutes a night. Career Stats – 797 Games, 16.9 minutes, 5.4 points and 3.8 rebounds a game. Team Tracker – Golden State Warriors, Philadelphia 76ers, Minnesota Timberwolves, Detroit Pistons, Milwaukee Bucks, Denver Nuggets, Chicago Bulls, Cleveland Cavaliers, Oklahoma City Thunder, Atlanta Hawks,New Jersey Nets (currently with). Longest Time Spent – Four season with the Timberwolves with one season with the Pistons in the middle. Best Season – His second season in the league after being picked number one in the draft. 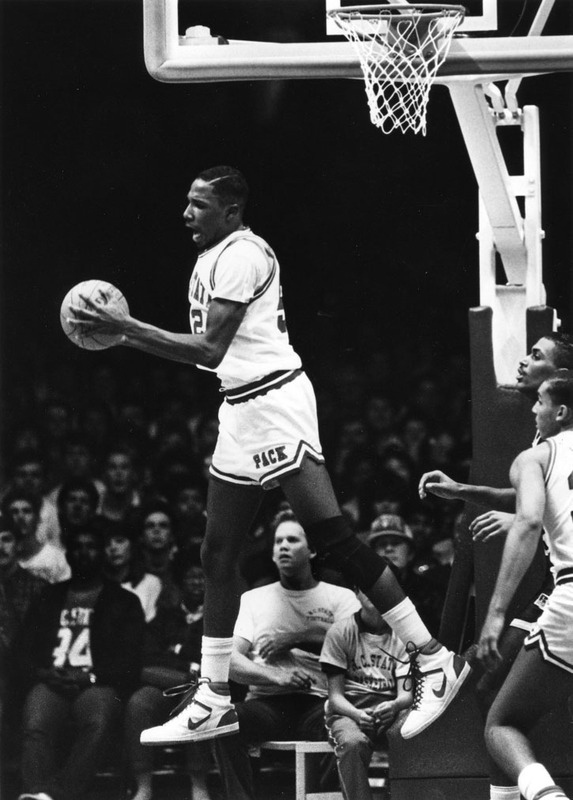 Smith, with the Warriors, averaged 18.7 points and 8.5 rebounds per game in 1996-1997. Career Stats – 1018 Games, 26.5 minutes a nights, 11 points and 6.4 rebounds a game. Team Tracker – Dallas Mavericks, Orlando Magic, Sacramento Kings, Philadelphia 76ers, New Jersey Nets, Chicago Bulls, Indiana Pacers, Milwaukee Bucks, Seattle Supersonics/Oklahoma City Thunder, Cleveland Cavaliers, Minnesota Timberwolves. Longest Time Spent – With the Sixers. Ollie had three stints with the team, including four consecutive years between 2004-2008. 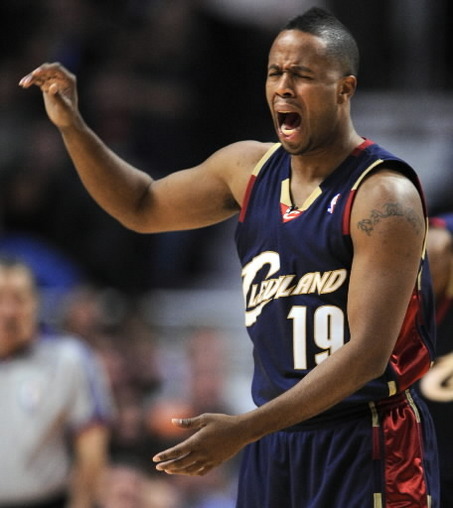 He reached the NBA Finals with Philly in 2000-2001. Best Season – 2002-2003 with the Sonics and Bucks, averaging 6.5 points and 3.5 assists in 23 minutes a night. Career Stats – 662 Games, 3.8 points and 2.3 assists in 15.6 minutes. Team Tracker – San Antonio Spurs, Charlotte Hornets, Boston Celtics, Golden State Warriors, Los Angeles Clippers, Toronto Raptors, Philadelphia 76ers, New Jersey Nets, Vancouver Grizzlies, Houston Rockets, Utah Jazz, Sacramento Kings. 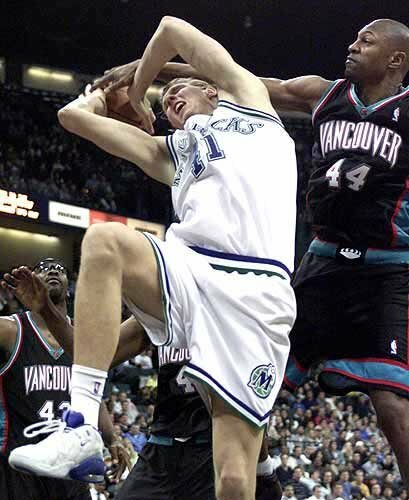 Longest Time Spent – Vancouver Grizzlies, three seasons, interrupted with a Rockets season. In 2005, his second stint with the Spurs and his final NBA season, Massenburg was a tiny part of the Spurs’ title win. Best Season – 1995-1996, playing for both the Raptors and the Sixers. He averaged 10 points and 6.5 rebounds per game. Career Stats – 683 Games, 18 minutes per game, 6.2 points and 4.3 rebounds. Team Tracker – Dallas Mavericks, New Jersey Nets, Philadelphia 76ers, Golden State Warriors, Portland Trail Blazers, Atlanta Hawks, Cleveland Cavaliers, Miami Heat, Sacramento Kings, Houston Rockets, New Orleans Hornets, Phoenix Suns, Los Angeles Lakers. Longest Time Spent – Four and a half season with the Mavs in the beginning of his career. Despite having the three J’s (along with Kidd and Mashburn), the Mavs never really got any success until they all left. Best Season – 1994-1995 with the Mavs. Jackson averaged 25.7 points but played only 51 games that season due to injury. Career Stats – 885 Games, 32.8 minutes per game, 14.3 points per game. Team Tracker – Cleveland Cavaliers, Los Angeles Lakers, New Jersey Nets, Dallas Mavericks, Houston Rockets, Phoenix Suns, Milwaukee Bucks, Atlanta Hawks, Charlotte Hornets, San Antonio Spurs, Golden State Warriors, Sacramento Kings. Longest Time Spent – The Cavs. Two full seasons in the beginning of his career, a bit of his third and also 20 games in 2000-2001. Best Season – 1995-1996 with the Houston Rockets. 8.6 Points and 5.4 rebounds in 24 minutes a night, starting every game for the Rockets, his only season as a full time starter. He won the NBA title the previous year with Houston. Career Stats – 694 Games, 5.9 points and 3.1 rebounds in 17.2 minutes a night.